When Landon Pollard arrived on the University of Mississippi campus in 2002, he had no idea he’d soon be launched on a major leadership trajectory. In less than a decade, Pollard’s participation in two UM programs transformed him from an inexperienced college freshman into the principal of Byhalia Middle School in Marshall County. A native of Birmingham, Ala., Pollard thrived as a student in the Sally McDonnell Barksdale Honors College. But during his senior year, about to graduate with an English degree, Pollard wondered what to do next. He knew only that he wanted to help others. A professor encouraged Pollard to apply to the Mississippi Teacher Corps, a highly competitive and rigorous program that allows students to earn a master’s degree in education over two years while at the same time teaching in an underserved Mississippi classroom. Co-founded by Andy Mullins, the Teacher Corps has placed more than 500 teachers in Mississippi schools since its 1989 creation. 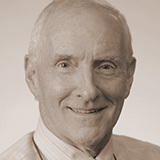 Mullins retired from his role as chief of staff to the chancellor in 2013 and continues to serve as the Teacher Corps’ co-director and associate professor of leadership and counselor education. The program’s history is indebted to Mullins’ earliest career experiences. After earning a bachelor’s degree in history, Mullins taught high school while concurrently taking classes during the evenings to obtain a renewable license. Later he worked for the Mississippi Department of Education, where he learned from Gov. William Winter that several states had implemented alternative route teaching certification programs, and then for the state Superintendent of Education, where he received frequent calls from districts struggling to fill severe teacher shortages in math, English and the social sciences. Those experiences led Mullins to an epiphany: an alternative certification route in Mississippi could attract talented people to the teaching profession by making it easier for those with strong content knowledge to obtain certification. Mullins and a colleague brainstormed a program styled after the Peace Corps, and the Mississippi Teacher Corps opened its doors at the University of Mississippi within a year. The Teacher Corps received its initial funding from the Phil Hardin Foundation and has since been provided for by the Mississippi Legislature through the Mississippi Department of Education. The Mississippi Teacher Corps is one of the most competitive teaching programs in the country and draws high achieving applicants from prestigious colleges around the nation. Its most successful teachers share a few key character traits, Mullins said. Teacher Corps teachers are placed in some of the state’s most impoverished and underperforming public schools in the Jackson area and in Lauderdale, Noxubee, Chickasaw, Marshall, Benton, Tate and Panola counties. A summer program in Holly Springs serves as a teaching lab where incoming teachers learn classroom management skills from second-year Teacher Corps teachers and program graduates. After Pollard completed his two years in the Teacher Corps, he worked for an adolescent offender program in Canton. Then, realizing he would be able to accomplish even more for Mississippi students in an administrative leadership role, Pollard returned to UM, this time to join the Principal Corps. In the 13-month, 36-credit-hour program, Principal Corps students receive a master’s or specialist’s degree in educational leadership. The program is designed for entry-level administrators and awards them with initial licensure from the Mississippi Department of Education. The Principal Corps was conceived by Mullins and developed by Tom Burnham, then-dean of the School of Education, who twice served as state superintendent of education before returning to Ole Miss to become the program’s director in fall 2012. Mullins and Burnham realized that although the Teacher Corps and the School of Education could provide a host of dynamic, qualified teachers to serve in Mississippi’s schools, these teachers needed supportive environments to truly thrive. Too often, eager Teacher Corps students encountered overworked, stressed out and poorly trained principals. The Jim and Donna Barksdale Foundation provided initial funding for the Principal Corps, followed by funding from the Phil Hardin Foundation. A 2012 grant from the Robert M. Hearin Support Foundation allowed the program to increase the size of its cohorts from 10 to 25 students. The Principal Corps curriculum includes five core areas of study: leading quality instruction, supporting quality instruction, leading curriculum and assessment, leading change, and managing operations for learning. The curriculum was developed through consultations with nationally recognized education administration experts and by researching the nation’s best principal training programs. As principal of Byhalia Middle School, Pollard has found the challenges of managing a school are similar to the challenges of the classroom, only magnified. “Our kids come to us on average a year-and-a-half to two years behind in reading and two-and-a-half to three years behind grade level in math,” Pollard said. “They don’t lack intelligence or capabilities—it’s because they come from poverty.” Many students at Byhalia Middle School come from single-parent homes, must help provide care for younger siblings, or meet the definition of homelessness because they move frequently among family members’ homes, he said. Because of the pressing need for well-trained principals, Principal Corps graduates who stay in Mississippi and secure positions as principals or assistant principals receive a $10,000 signing bonus from the program’s founding donors, Jim and Donna Barksdale, an honor 32 graduates have achieved. All 10 of the 2012 cohort secured placements in educational leadership positions for the next academic year before their June classes ended.